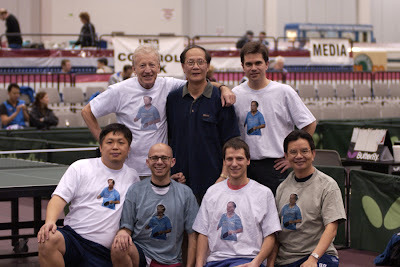 Peter Chen will be inducted into the California Table Tennis Hall of Fame this coming weekend at the Meiklejohn North American Seniors Open Table Tennis Tournament. Oh, by the way, Peter made the quarter-final in the U2500 event, too! Thank you all for being apart of my uncle Peter's fanclub! This is so cool to be able to find him online. He's not that computer savvy so I took it upon myself to email all our cousins about him. Keep up the great news!